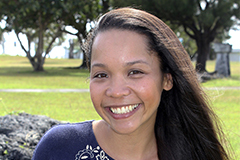 University of Guam graduate student Sophia A. Sablan has been accepted into the doctoral clinical psychology program at the California School of Professional Psychology at Alliant International University in San Diego. The presidents of eight island colleges and universities made several collective commitments toward sustainability yesterday during a presidential summit prior to the start of the 10th University of Guam Conference on Island Sustainability at the Hyatt Regency Guam. 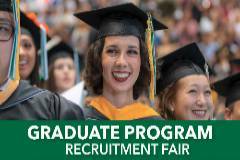 Working professionals, recent college graduates, and others considering a master's degree now or in the future will have an opportunity to explore 15 options available at the University of Guam through the University's Fañomnåkan 2019 Graduate Program Recruitment Fair on Wednesday, April 17. The fair is open to the public and will take place from 3 p.m. to 7 p.m. in Multi-Purpose Room 129 of the Jesus & Eugenia Leon Guerrero School of Business & Public Administration Building on the University of Guam campus. Need academic guidance? 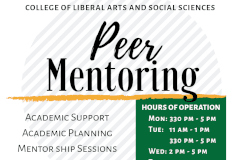 See a peer mentor! Are you in need of guidance to shape your goals toward academic success? Thinking of a major to declare, but aren't too sure of the process? Not too sure who your academic advisor is? 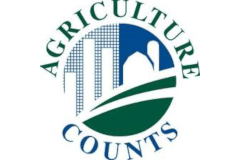 The USDA National Agricultural Statistics Service, with assistance from the Cooperative Extension & Outreach at UOG's College of Natural & Applied Sciences and the Guam Department of Agriculture, will start collecting Census of Agriculture data from all known farmers this spring. "Life is not fair, and sometimes you just gotta do the hard thing and do it all by yourself." 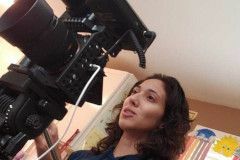 These words play on repeat in the head of University of Guam alumna Sarah Filush Camacho -- words of advice from her former business school professor, Dr. Annette T. Santos. The University of Guam Women's Soccer Team defeated the Bank of Guam Strykers 2-0 in a tough defensive match-up in the Guam Football Association Bud Light Amateur Women's League on March 31 at the GFA National Training Center. 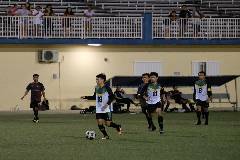 The University of Guam Men's Soccer Team pounded the Guam Shipyard FC 18-0 in the GFA Budweiser Amateur Men's League on March 29 at the Guam Football Association's National Training Center. 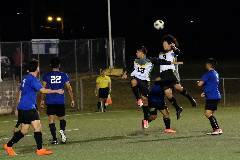 The University of Guam Men's and Women's Soccer Teams both had victories on March 24, moving them closer to the championships of their respective amateur leagues.